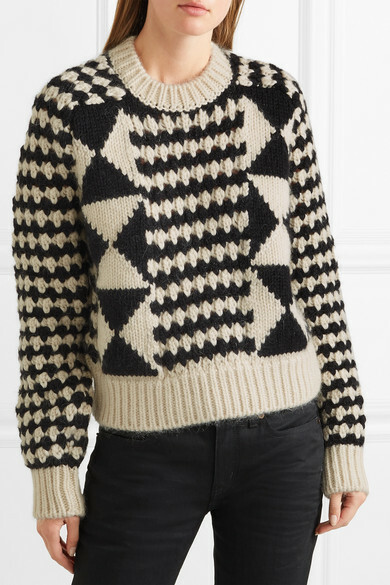 Saint Laurent’s monochrome sweater is very much in tune with the '80s feel of the label's Fall '18 runway. 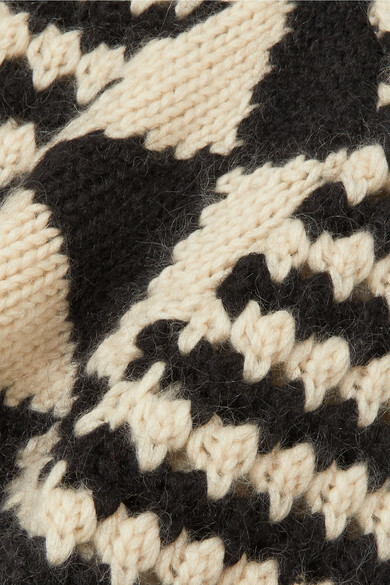 This piece is knitted from a thick wool-blend that's spun with touches of soft alpaca and mohair and has a retro black and white geometric pattern throughout. 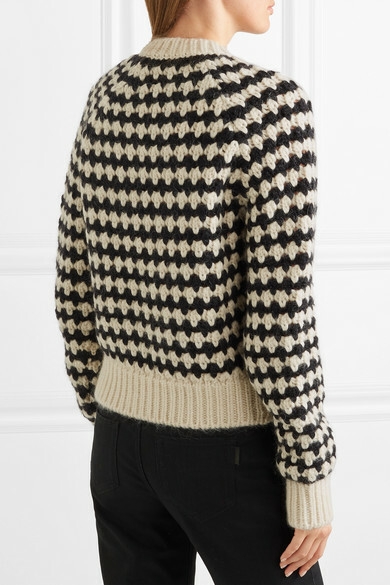 Wear yours with a tweed coat and boot-cut jeans. Shown here with: Saint Laurent Jeans, Saint Laurent Ankle boots, Saint Laurent Pouch.